This post is a quick for getting a Golang development environment set up on your Raspberry Pi with Docker 1.13. Golang is a compiled language which has many advantages on the Raspberry Pi over slower interpreted languages. Since many popular projects now build their solutions in Go it opens up a wide range of cool projects to the Pi. If you want to turn on experimental mode then edit the ExecStart command in /etc/systemd/system/docker.service.d/overlay.conf adding --experimental=true. Note that this is not the usual location of your Docker systemd file, the RPi has an additional drop-in file. The cool bit about enabling experimental mode is that you can play with bleeding edge features such as Prometheus metrics. Warned - the Docker team told the Captains that experimental features are likely to have breaking changes, so don't get too attached to their interfaces. The Go team have made great strides to improve the execution of Go on ARM devices, so you should really to keep up to date to get the most out of your experience. This is a very manual installation method, but one of the quickest and is also suitable for installing and upgrading Node.js. Both projects provide pre-built binaries. Head over to http://golang.org/dl/ and pick go1.7.5.linux-armv6l.tar.gz or whatever is newer with armv6l in the name. This is the architecture of the original Raspberry Pi meaning it will work on all models. The Docker method means you don't have to install any binaries onto your system directly. In fact you can even run multiple versions of Go at the same time. This is a huge plus-point for Docker and helps solve the problem of outdated repositories. Unfortunately the Docker Hub has no automated builds for ARM images, so use an image from a trusted source or build your own. I was able to adapt the Golang official Dockerfile for ARM which uses Alpine Linux as a base image, this means you get a much smaller working image than with an Ubuntu or Debian base. Note: the Golang official binary will not work in an Alpine Linux container because it's built against glibc and Alpine uses Musl instead. The above image does a clean build from Golang source. So you can now build some code on your Pi - pretty much anything you find in the Golang docs should build, from hello world to HTTP servers to complex image manipulation code. Head over to my Golang basics - fetch JSON from an API and follow the tutorial on your Pi. Is hardware your thing? Check out my brand new Pimoroni and Blinkt Golang library, I need people to help port examples from the Pimoroni Python library. If you're looking for more Raspberry Pi Docker images I curate a special Github repo and contributions are welcome, especially updates. 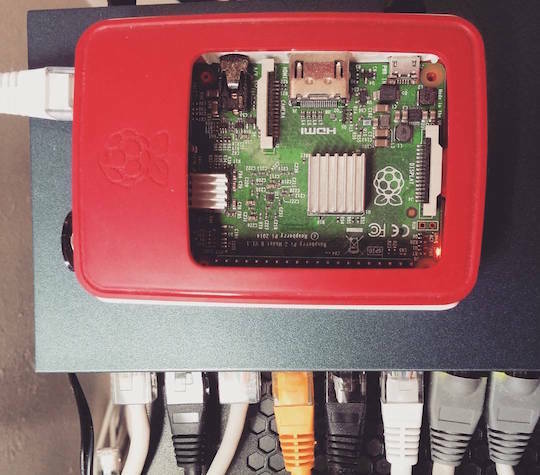 The Orange Pi gets Docker!